In the fictional Iranian town of Bad City, Arash (Marandi) lives with his cat and junkie father Hossein (Manesh). His most treasured possession is his car, but when his father’s dealer, Saeed (Rains) claims payment for some of the money owed him, Arash is forced to hand over the keys to his car. Saeed shows off the car to a local prostitute, Atti (Marnò), but is spooked by a cloaked figure he sees in the rear view mirror. Later that evening he meets a girl (Vand) on the street and takes her back to his apartment. When he makes his move, what happens next comes as quite a shock: she sprouts fangs and attacks him, biting him in the neck and killing him. Outside, Arash has come to get his car back. The girl passes him as she leaves, and for a moment, there’s a connection. Arash goes up to Saeed’s apartment and finds his body. He takes Saeed’s stash of drugs and his money, and leaves. The next night, the girl menaces Hossein and a small boy (Eghbali) on the street but spares them both. Later that same night, Arash dresses up as Dracula to attend a party. There he runs into Shaydah, a young woman whose family he works for as a gardener. Wanting to make an impression he lets her have some drugs for free; in return she persuades to take a pill himself. When it comes to making it back home, Arash finds it more difficult than he expected. While standing staring at a lamp-post, he’s spotted by the girl. They begin a conversation. When Arash takes her hand and realises how cold it is, he gives her a hug in a clumsy attempt at warming her up. Surprised by this unexpected show of kindness and sympathy, the girl takes Arash back to her apartment. They discover a shared love of music, and bond further. When Hossein questions Arash about his being out all night, he’s less than impressed when Arash can’t even tell his father the girl’s name. The girl spends some time with Atti, then at Arash’s request, meets him at the nearby power plant. She tries to warn him off, telling him she’s done some very bad things, but Arash is dismissive of her claims. She walks off, leaving Arash confused and frustrated. When Hossein’s withdrawal symptoms cause an argument the next day, Arash snaps and throws him – and the cat – out and gives him some of Saeed’s drugs and money to get by with. Hossein visits Atti and makes her take heroin. The girl arrives and in a fit of rage, attacks Hossein, the consequences of which will lead Arash to make the toughest decision of his life. Shot in glorious black and white by Lyle Vincent, and with the town of Taft, California standing in (very effectively) for Iran, A Girl Walks Home Alone at Night is a small, almost perfectly formed horror movie that avoids genre clichés and provides its story with a rich visual backdrop. 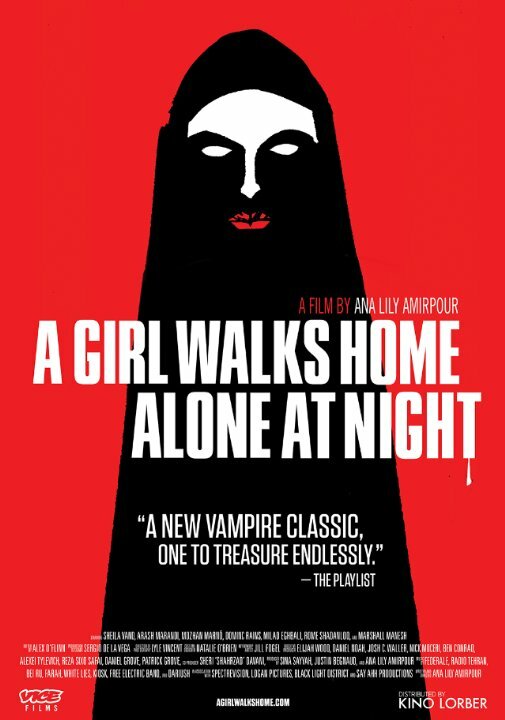 In making what could be described as the first Iranian vampire western (with Mexicali tinges), writer/director Amirpour has come up with a spellbinding tale of reluctant desire that resonates far strongly than it perhaps has a right to. Bad City is the archetypal place where bad things happen to good people, but even worse things happen to bad people. The worst thing in Bad City is the girl, a pale music-loving, wide-eyed monster who preys on the people of Bad City with seeming impunity – with all the bodies that have been dumped in a ravine on the outskirts of town it seems she’s been pretty busy, and for a long while. Used to being alone, and reliant on music for access to long-buried emotions and feelings, the girl feeds when necessary, but has no compunction about doing it. When Arash’s attentions take her by surprise, the girl regains something she hasn’t had for such a long time: hope. Distrusting it at first she tries to sabotage her relationship with Arash before it’s properly begun. But his persistence renews and encourages that hope, and before long she too has to make a decision that will be the toughest she’s ever had to make. 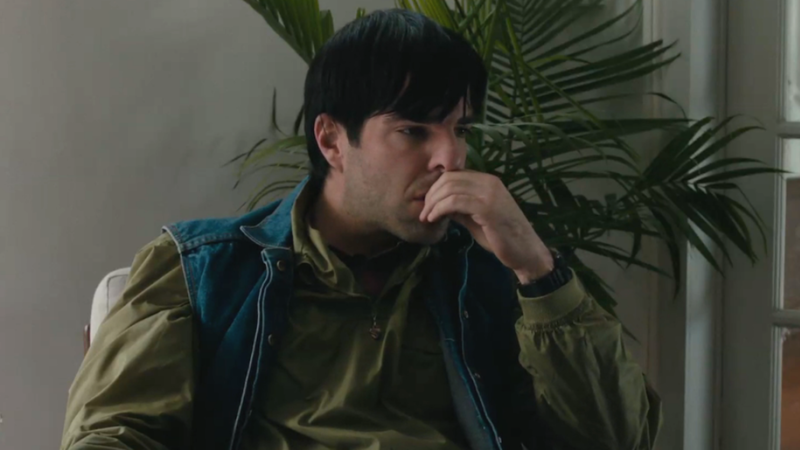 Vand – despite having precious little dialogue to work with – gives a tremendous performance, her sallow features and piercing stare perfectly expressing her curiosity about, and yearning for, a normal life. She makes the girl’s need for Arash so completely understandable – even if there are some obvious obstacles that will prove difficult, if not impossible, to overcome. But while the girl’s wistful longing is touching to witness, Amirpour and Vand ensure that the character’s darker habits aren’t glossed over: the scene where she threatens the little boy with taking his eyes out of his skull is chilling for its raw viciousness. Marandi plays Arash as a brooding though needy soul, his good looks and cool car no solution for the emptiness he feels eating away inside him. With his good looks and easy-going charm, Arash should have no problem dating women, but there’s something off about him, and they realise this. 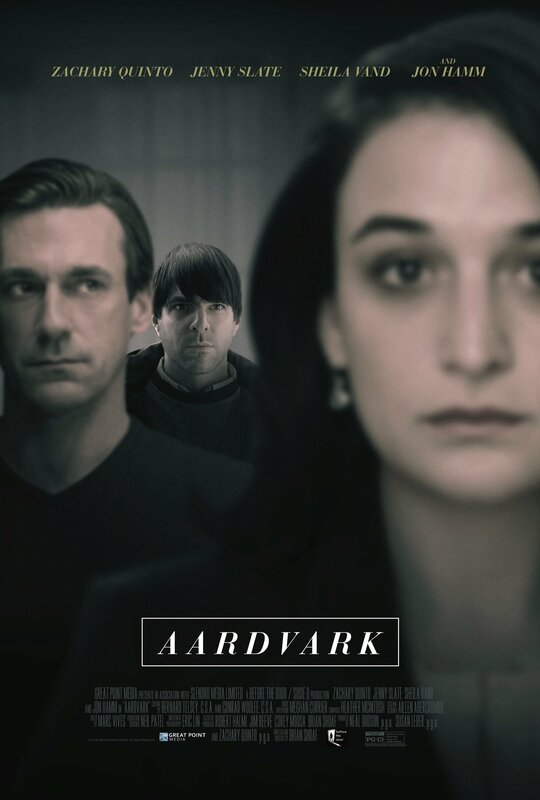 Marandi expresses Arash’s confusion and inner turmoil over this with quiet persuasion, and makes Arash as desperate for some form of human connection as the girl is. The scene they share at the power plant is one of the most affecting, most awkwardly romantic scenes of recent memory. Amirpour – making her feature debut – lifts motifs and inspiration from a variety of disparate sources but melds them into one confidently assembled whole. The tone of the movie stumbles on occasion – a scene that sees Atti dancing with a balloon feels like it belongs in another movie entirely – but for each misstep, Amirpour redeems herself with a moment of striking imagery, such as the sight of the girl, her chador billowing out behind her like bat wings, riding a skateboard toward the camera. She also shows a confident use of form and content, framing her characters against often overwhelming and impersonal backgrounds, emphasising their emotional discomfort and the difficulty of breaking free of the chains that bind them. With an equally adept use of light against shadow, and a creative sense of when to glamourise the black and white images, Amirpour displays a skill that easily bodes well for any future endeavours. 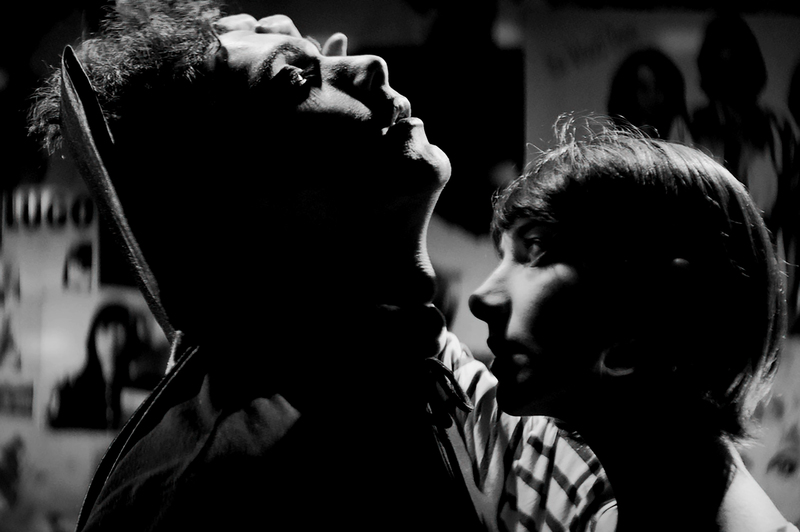 Rating: 8/10 – with lush visuals and one of the best scores and soundtrack of recent years, A Girl Walks Home Alone at Night is a refreshingly original take on the vampire story; with a captivating performance from Vand and self-assured direction from Amirpour, it’s a movie that lingers in the memory long after its final image has faded from the screen.